After 30 years, Isaac Asimov began to weave his 2 most famous series together in his novel FOUNDATION AND EARTH. In this scene the author described the discovery of a huge statue, a remnant of a long-lost civilization. 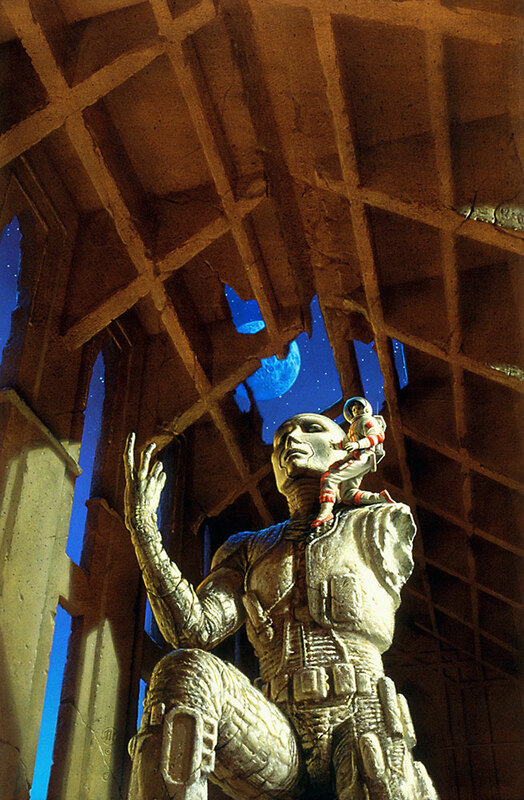 To symbolize the convergence of the 2 series, the artist used the robot Giskard from his cover art for ROBOTS OF DAWN as the model for the statue.